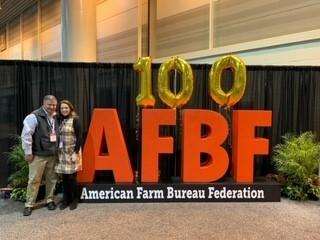 Representatives from Marion County Farm Bureau traveled to New Orleans, Louisiana for American Farm Bureau Federation's centennial convention. Charlie and Sharon Browning at the 2019 American Farm Bureau Convention. 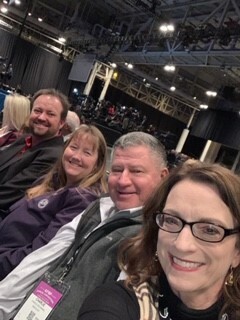 Timmy and Kim Jones, Charlie and Sharon Browning at the 2019 American Farm Bureau Convention.